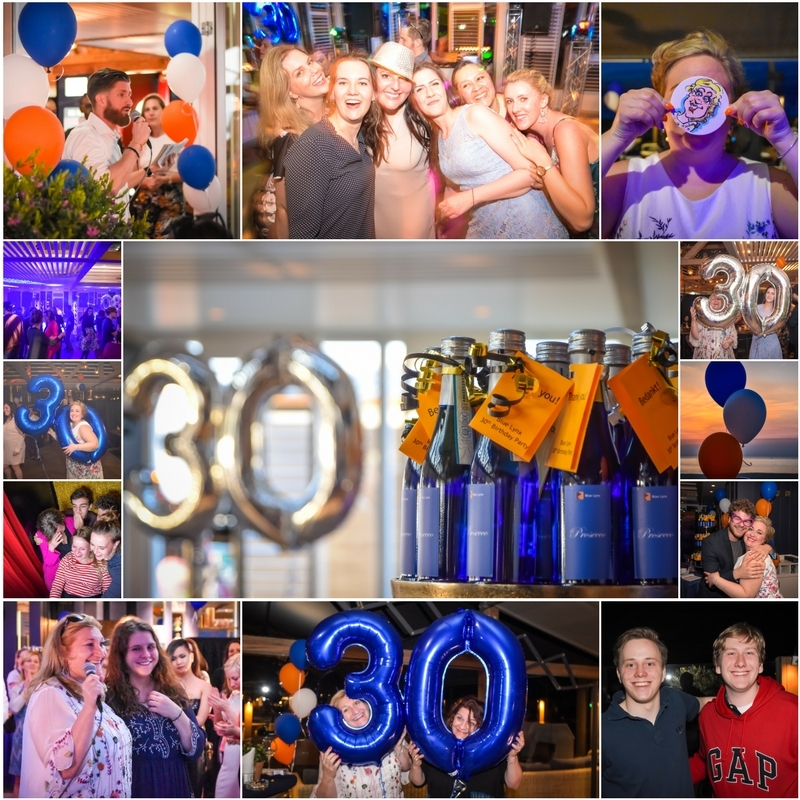 Thanks to everyone who came to the Blue Lynx 30th Birthday party at the Waterreus in Scheveningen. We really celebrated in style. It was one of those evenings where everyone let their hair down and simply had a blast. Whilst planning the party we worked using a few keywords: fun, happy, beach and thanks. I think we succeeded. Everyone had a blast. The DJ, magician and cartoonist were all fantastic and the photo booth was just the icing on the cake. We even had the weather on our side, it was a warm sunny evening and the sunset over the sea was breathtaking. Thank you to everyone who came along to celebrate. Jillian van Duuren (Marketing and Communications Intern) and Arla Morrison (HR Manager) did us all proud with their tireless attention to detail and great party planning skills. We also thank Bob www.boboffereins.com for being our keynote speaker and David Achtsivassilis http://www.gray.fish for all the graphics.